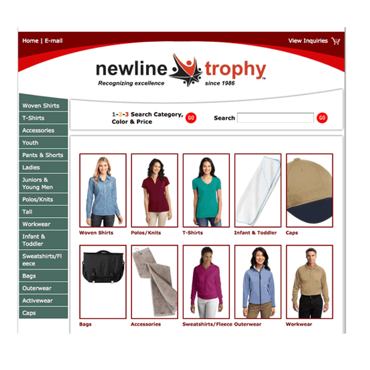 Welcome to Newline Trophy! We are the experts in custom embroidered sportswear apparel design & manufacture since 1986! We specialize in company and corporate embroidery on a wide variety of clothing and accessories. Browse our extensive sportswear catalogs online or call our customer service experts for free quotes!